Exploratory Advising is the academic home for PNW students who have not yet declared their major. This includes students who are undecided about what they want their major to be and students who may have an idea of their interests but who are not admitted directly into their preferred college. Students in Exploratory Advising are assigned to an Academic and Student Success Advisor. These advisors support students in their successful transition to college, major exploration process, and successful major declaration. They assist students in planning courses that meet their interests, allow them to explore, and keep them on track to timely degree completion. Academic and Student Success Advisors also connect students to campus resources to ensure students receive holistic support at PNW. All first-year first-time students at PNW are required to take a first year seminar course. Students in Exploratory Advising take GS 19100 which is co-taught by full-time faculty and the student’s advisor. The class helps students successfully transition to college, facilitates exploration of interests and majors, and assists students in developing a plan for their PNW experience. Linda Atkinson-Pettee (2013) Assistant Director of Academic Success for Exploratory Advising, B.S. University of Wisconsin – Stout, 2007, M.S., Indiana State University, 2009. Jordan Hallow (2018) Academic and Student Success Advisor, B.S Ball State University, 2015, M.A. Western Michigan University, 2018. Paul Henderson (2018) Assistant Director of Academic Success for Exploratory Advising, B.A. Morehouse College, 1995, M.S. United States Sports Academy, 1998, Ph.D. Southern Illinois University, 2008. Scotty Kessler (2018) Administrative Specialist, B.S. Calumet College of St. Joseph, 2012. Nadea Khorbotly (2018) Academic and Student Success Advisor, B.S. University of Akron, 2008, M.E. University of Toledo, 2011. Charnell Thomas (2014) Academic and Student Success Advisor, B.S. Illinois State University, 1998, M.S.Ed., Northern Illinois University, 2006. Allison Vickers (2018) Academic and Student Success Advisor, B.A. University of Iowa, 2007, M.A. New York University, 2013. Oshunda Williams (2014) Academic and Student Success Advisor, B.A. Wayne State University, 1998, M.A. Governors State University, 2004. Student Academic Support (SAS) provides free academic assistance to all Purdue University Northwest students in a friendly and nurturing environment. Our goal is to help students not only increase understanding but improve study skills and build confidence. Highly qualified, faculty recommended students are hired as tutors and Supplemental Instruction (S.I.) Leaders. SAS services include Supplemental Instruction, Walk-in Tutoring and Success Workshops. Employment opportunities are available. For more information, visit our website or contact us - Hammond: Gyte Building, room 102, Phone: 219/989-3227; Westville: Library-Student-Faculty (LSF) Building, room 202 Phone: 219/785-5628; Website: www.pnw.edu/sas; Email: sas@pnw.edu. Walk-in Tutoring is available in math, science and other major subject areas. The tutoring is conducted by peers on a drop-in basis - no appointments are needed. Schedules are available on our website (pnw.edu/sas) and by visiting the center for Student Academic Support on each campus. Supplemental Instruction (SI) is an academic support program that targets historically difficult courses. It is a non-remedial approach to learning enrichment that increases student performance and retention. SI offers regularly scheduled, out-of-class review sessions to all students enrolled in a targeted course. SI sessions are facilitated by SI Leaders, students who have successfully completed the course and now sit in on every class with you. These sessions are interactive and give students the opportunity to review notes, discuss readings, practice problem solving and prepare for examinations. Deborah Beal (2011) Academic Center for Excellence Manager of Student Academic Support, B.A., Rutgers University, 1986, M.B.A., Rutgers University, 1993. Paul Hendreson (2018) Assistant Director of Academic Success for Exploratory Advising, B.A. Morehouse College, 1995, M.S. United States Sports Academy, 1998, Ph.D. Southern Illinois University, 2008. Michael Wilk (2014) Academic Center for Excellence Student Academic Support Coordinator, A.A. South Suburban College, 2000. John Rowan, Dean; Heather Fielding, Assistant Dean (on leave 2016-17); Vanessa Quinn, Interim Assistant Dean; Brandon Rukes, Program Coordinator; Chu Hui, Faculty Advisor; Amy Libauskas, Secretary. Hammond Location: SUL Building Room 320; Phone: 219-989-3160; Westville Location: Technology Building Room 313; Phone 219-785-5327. Web site: www.pnw.edu/honors. 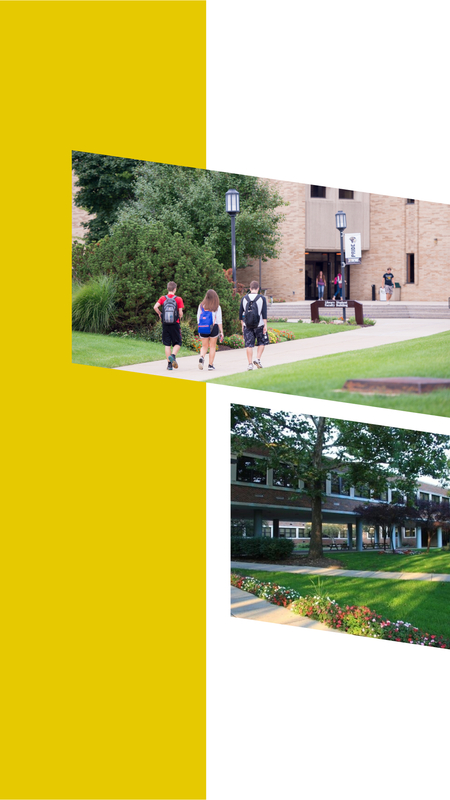 Mission: The Honors College at Purdue University Northwest is dedicated to enhancing the learning experiences of highly motivated and academically exceptional students. Students in the Honors College engage in advanced coursework, community outreach, substantive research, study abroad, cultural and social activities, and regular interaction with the university’s most outstanding students and professors. Through these kinds of special learning opportunities, the Honors College fosters academic excellence, critical thinking, vital leadership skills, social and civic responsibility, and other virtues required of outstanding citizens and leaders. Application: Available at www.pnw.edu/honors. The application to the Honors College is separate from the application to the university. Although there are no firm criteria for admission, students with a high school GPA under 3.4 or SAT scores (or ACT equivalent) of under 1100 (verbal+math) will have difficulty being admitted. Applications, which require essays and letters of recommendation, are reviewed on the basis of academic achievement and promise, leadership potential, extracurricular involvement, personal character, and other factors relevant to the student’s overall potential. Executive Board (Chaired by co-Presidents, one from each campus of PNW): VP Campus Life, VP College Media, VPs (2) Student Engagement, VPs (2) Student Mentoring, VP Student Research. Committees: Academic and Cultural Events, Community Involvement, Newsletter, Social Events, Social Media, Yearbook. Additional Requirements: Volunteer work; regular participation in Honors College activities; two annual individual meetings with Honors College advisor, program coordinator or dean.